Photoshoots are something every couple loves to do. After so many rituals, ceremonies, and a hectic wedding schedule, a post-wedding photoshoot can help you relax a bit and will give you some moments of fun. You would love to decorate your home with your ideal couple of shots. 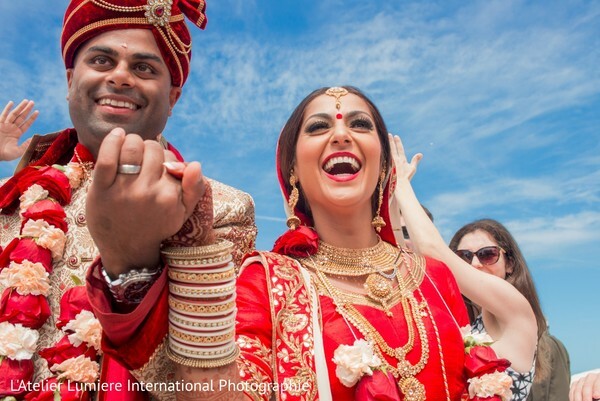 Be it pre-wedding or post-wedding, photos are the best way to relive your beautiful memories. Here are some of the most amazing couple shots you can go for. The classic just married photo-shoot is definitely a must for your post-wedding photographs. It will be perfect for the cover of your post-wedding photo album. It looks classy. You can take a Just Married picture, print it in black and white and put it as your cover photo on your wedding album. It will be like walking down the memory lane when you open your wedding album, 20 years after your marriage. A picture of the groom carrying the bride is definitely one of an ideal couple of shots. Hang this beautiful picture in your bedroom. It looks very cute and shows the trust between the couple. This picture symbolizes affection and brings out the youthful enthusiasm of the couple. Also, it will remind you of your fitness sooner. The wedding rings do deserve a photograph, either in the pre-wedding shoot or the post-wedding shoot. If you are not into the rings, you can go for the mangalsutra and the vermilion. Get an artistic picture of your rings and get it done in black and white holding each other’s hands. The rings, platinum, gold or diamond, need to shine brightly in the picture and keep the bands in focus. There is nothing more adorable and relieving in this world than a forehead kiss. It tells her that you are there to protect her, love her and cherish her always. It is surely one of the ideal couple shots. This shot shows how much you love her and care for her. Show her how she means the world to you and you are there for her at every step of her life. Post wedding photos have got to include some pictures that show your young romance. Be it indoors, outdoors or your home, the “We are the happiest couple” faces are worth capturing, framing and keeping on your bedside so that you can wake up to it every morning. Show how comfortable are you guys around each other and how you love each other way too much. Add your best honeymoon photo in your wedding album. The best post wedding moments are lived during the honeymoon. Add a beautiful picture from your honeymoon and show how much you enjoy each other’s company. The beautiful smiles of the bride and the groom after getting married is something really precious. It is definitely one of the most ideal couple shots. Capture the freshness of the relationship, no matter if it is an arranged marriage or you guys have known each other for a long time or you two are childhood sweethearts. These are some of the ideal couple shots for your post-wedding album. Capture every moment of love, fun, joy and utter confusion as a new couple. This photo album will be the best escape for you when you miss each other.